cost Please contact us for a quote to suite your specific needs. Our main aim is to provide safe and reliable transport for school children whose parents need support in dropping off their children at school and at home again in the afternoon. 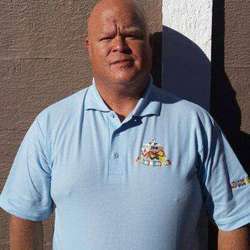 Our drivers have valid driver's licenses and are carefully chosen. They are also equipped with a cellphone to be contactable at all times. Our vehicles are fitted with satellite tracking devices in order for us to monitor the driver's driving behaviour as well as the route taken. Once your child is safely dropped off at home you will receive an sms indicating this. 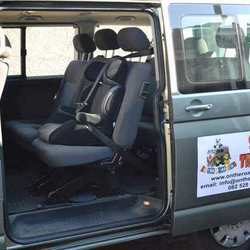 We do not operate a 'taxi service' - our Kombi's pick-up and drop off your child between 15 - 20 minutes.